Miller & Chitty offers sales and design support on all products we represent. Contact us to get in touch with an expert and get your project started. Miller & Chitty offers world class team of technicians and 24/7 emergency service. 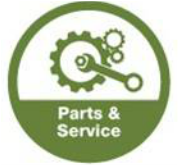 We also have a fully stocked warehouse of genuine OEM parts right here in Kenilworth NJ. Need operator training? We can provide fully customized on-site training to match your equipment. 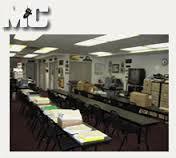 We also offer training at our in-office classroom, usually on the last Tuesday of every month. Please ask about the training we can offer. The ClearFire-CE, or CFC-E, is a new compact offering from Cleaver-Brooks. Available in sizes ranging from 750-2,000 MBTU, it uses a fully condensing high-mass design to maximize efficiency in any hot water system. 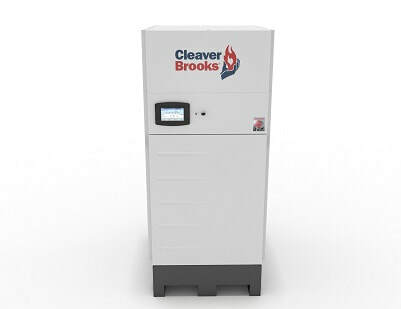 With no minimum flow requirement and a thermal shock proof pressure vessel the CFC-E could be the perfect boiler to deliver a long lasting and reliable solution for any new or retrofit project. 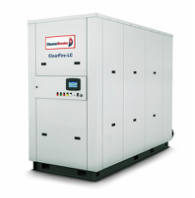 Contact us today to find out how the new CFC-E can help improve your system's efficiency and reliability. Come join us for a day of learning at the liberty science center! 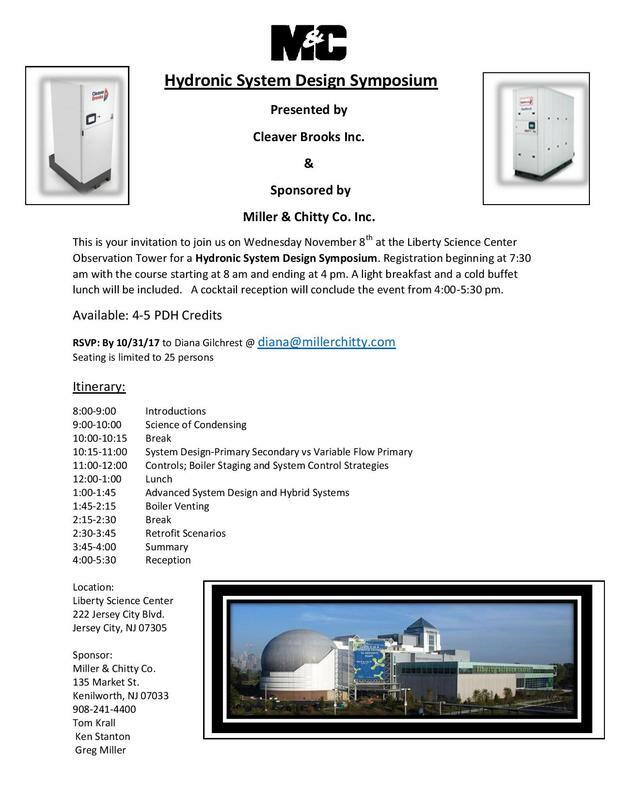 Miller & Chitty along with Cleaver Brooks will be hosting a hydronic system design symposium with 4-5 PDH credits worth of classes. Contact us to register your seat today! Introductions start at 8AM on Wednesday November 8th. Miller & Chitty Co. Inc.